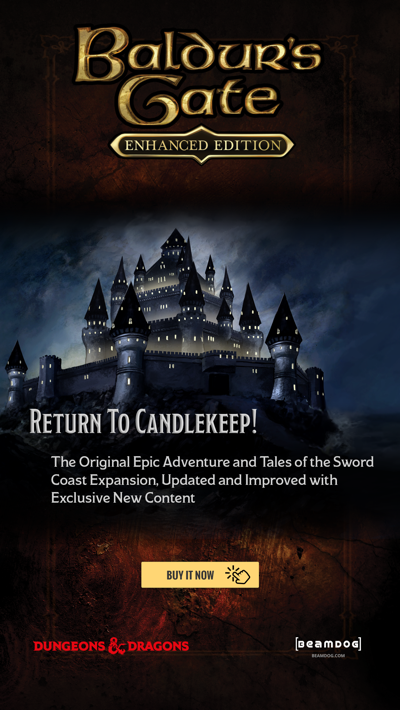 Neverwinter Nights: Enhanced Edition has arrived on Steam! 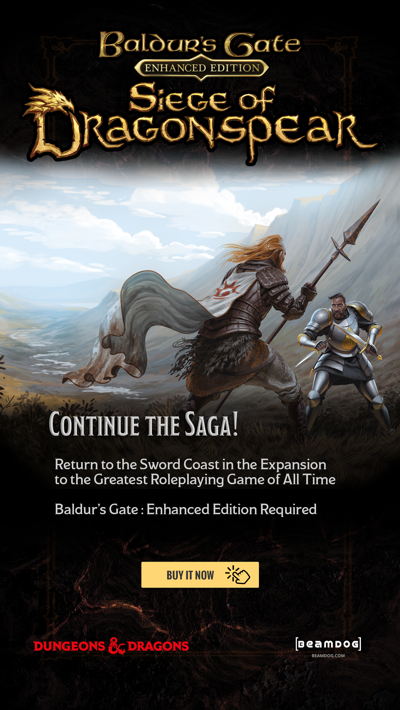 Here at Beamdog we’re not only excited to have the opportunity to rejuvenate another classic Dungeons and Dragons title, but to reintroduce an experience as creative as it is compelling. Through the original campaign and premium modules, you’ll experience lovingly crafted stories filled with hours of exploration and excitement. You’ll journey with Aribeth and Drogon, slay drow and dragons, travel from mountain peaks in the frozen North to the depths of the Underdark. The heroes you create will travel the face of Faerun. “Neverwinter Nights has been a beloved game for the past 15 years, with Beamdog's ongoing development and community support we hope the Enhanced Edition will be loved for 15+ more years.” - Jonathan Hill, Project Lead for Neverwinter Nights. With the Aurora Toolset, you’ll be able to express your imagination by crafting an infinite variety of worlds, as well as exploring those created by others through the Steam Workshop. Build towers that reach for the Seven Heavens, pits descending into the Nine Hells, and cities stretching across countries and continents. All of this and more is within your grasp. The Dungeon Master Client allows you to play Dungeons & Dragons with friends thousands of miles away. Since its inception, D&D has been a powerful collaborative experience, and Neverwinter Nights will allow you to challenge your friends’ wits and skill at arms in real-time. Never worry again about finding a group to indulge your hobby, just log in and discover the adventures that await. If you're curious what's been done so far, check out the changelog taking us from NWN 1.69 to Neverwinter Nights: Enhanced Edition.